The Days of Johann, an agility dog! : Almost time to think about Howl-o-ween! Almost time to think about Howl-o-ween! Halloween is closer than you think? What are you and your pup going to do? How about throwing a really cool Doggie Howl-o-ween Pawty, with cool costumes, fun games, great eats, and good friends! Check out my Squidoo lens on Throwing a Great Doggie Howl-o-ween Party for everything you need to make it the event of the season! mom already has me signed up for 2 howl-o-ween parties. I have to start thinking about what i want to dress up as... last year i was a bee. 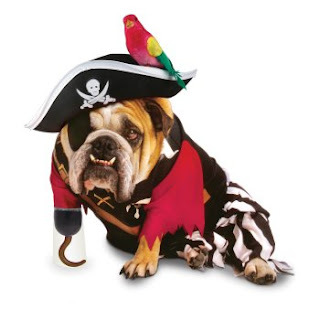 Halloween is a great time to dress up your dog, if you normally don't do it. It seems that those that are even against dog clothes, seem to do it during this time of the year!